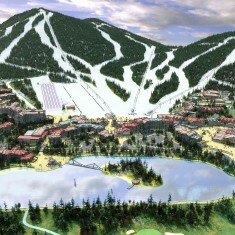 Changbaishan | Changbaishan | Ecosign Mountain Resort Planners Ltd. Client Wanda Commercial Properties Co. Ltd. 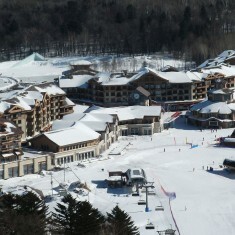 In 2010, Ecosign completed a comprehensive Ski Area, Resort Village, Real Estate and Overall Land Use Master Plan for Wanda Commercial Properties Co. Ltd., for their project in the north-eastern portion of the Province of Jilin near Changbaishan Mountain. 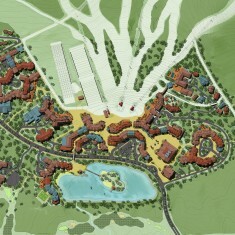 Phase One of the project includes six flagship hotels made up of 4 and 5 star accommodations. The layout and design of the hotels form the footprint for a pedestrian village with commercial outlets located on the ground floor and accommodation on the floors above. 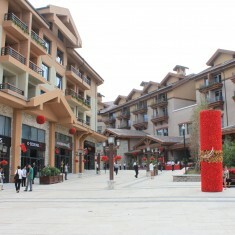 The village also includes a traditional Chinese family spa, a 1,000-seat performing arts theater, an interpretive museum, a man-made lake with a feature lakeside restaurant, and the golf course clubhouse. The study area also includes 600 villas (many of which are ski-in/ski-out), a Jack Nicklaus Championship 18-hole golf course and two Robert Trent Jones Championship 18-hole golf courses. 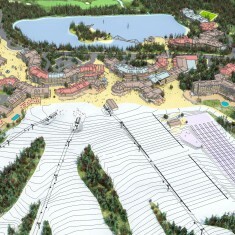 The ski area is capable of servicing 7,000 skiers at one time operating two 8-passenger gondola lifts, three 6-passenger high speed detachable chairlifts, two quadruple chairlifts as well as magic carpet lifts for beginners. The two gondolas also service a mountain top restaurant in addition to lift accessed summer sightseeing and hiking. 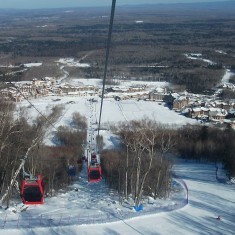 Other recreational activities include a zip line, snow tubing slopes, alpine coaster, mountain biking, horseback riding, water recreation, and art and music festivals. 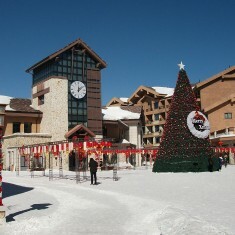 The resort opened for operation in July 2012. It was a privilege to work with Wanda to develop such a high quality world class resort in just 32 months of construction at a cost of USD $3.2 billion.